Implant dentistry continues to grow and a multitude of designs are now available, allowing you to provide optimum care from an esthetics, functionality and durability standpoints. 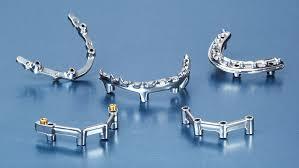 One of these designs are implant overdentures that combine the stability of implants with the affordability of dentures. And at Thompson Suburban Dental Lab we can fabricate implant overdentures to perfectly fit your patient’s dental morphology. Successful case design and predictable results are directly related to proper case planning. A preliminary diagnostic wax try-in should be prescribed and approved by the patient prior to implant treatment. This becomes the guide to both phases of implant treatment: the surgical procedure and the implant-supported prosthetic rehabilitation. Dozens of designs may be utilized in the restoration of the edentulous patient. Two of the more common designs are described below. 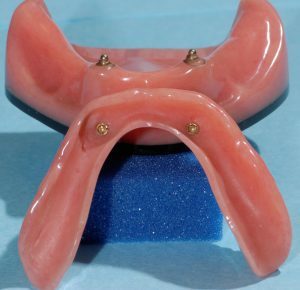 This is a conservative design option when the patient requires a less costly restorative alternative. 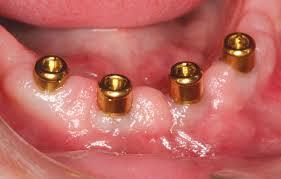 Indications: A minimum of two available implants are required to act as abutments for the locator abutments. 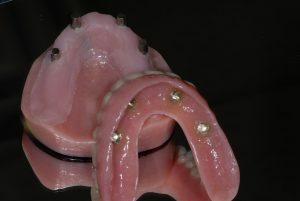 This prosthesis is removable and improves abutment hygiene access. The locator (Zest) attachment is self aligning for easy seating. Variable collar heights, titanium abutments with gold-colored titanium nitride coating, and long-lasting (chair-side replaceable) resilient nylon male attachment parts with housing are available. All TSDL mandibular locator overdentures feature a cast Wironium strengthening bar for additional support and long-term durability. This design features our premium esthetic overdenture with either a Hader Clip, Bredent clip, ERA or locator attachment. Indications: This overdenture design option requires a minimum of four implants with adequate A-P spread of at least 12-15mm. This prosthesis can be removed by the patient for hygiene access but leaves the primary implant connector bar in place. The ERA and Locator attachments are used when the biomechanical requirements necessitate eliminating a cantilevered distal extension Hader Clip design. Both attachments provide the necessary resilience to allow for transfer of a portion of the occlusal load into the buccal shelves while providing the necessary retention for the overdenture. The Atlantis Conus Concept is a cost-effective option for patients with the stability of a friction-retained, non-resilient prostheses, but the comfort of a fixed restoration. Atlantis abutments are designed using a special technology called Atlantis VAD, which assures that they are all parallel with each other. On top of that, the Atlantis Conus Concept offers the benefits of easy cleaning and improved chewing ability. Please call us with questions or to discuss treatment options for your patient.